Hey! My name is Corey and I've been part of the Music and Arts team since August 2016! My main instrument that I play is percussion. 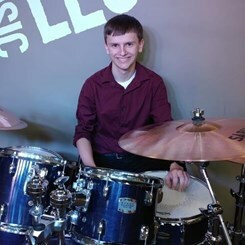 Coming from a family of drummers I've been a percussionist since before I could walk! I'm currently going to AACC for Music Preformance and Theory and will be transfering to Towson University. If you have any questions about drums or any other intrument I will be glad to help you find exactly what you are looking for!